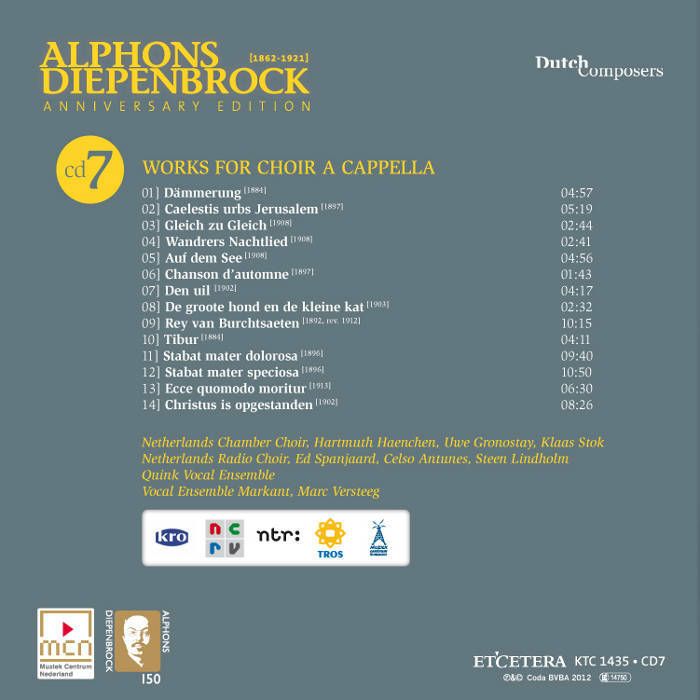 Caelestis urbs Jerusalem for five-part mixed choir a cappella was written for the celebration of the seventieth birthday of the architect P.J.H. (Pierre) Cuypers (1827-1921), the leading figure of the neo-Gothic building style in the Netherlands. Diepenbrock called it an occasional work . 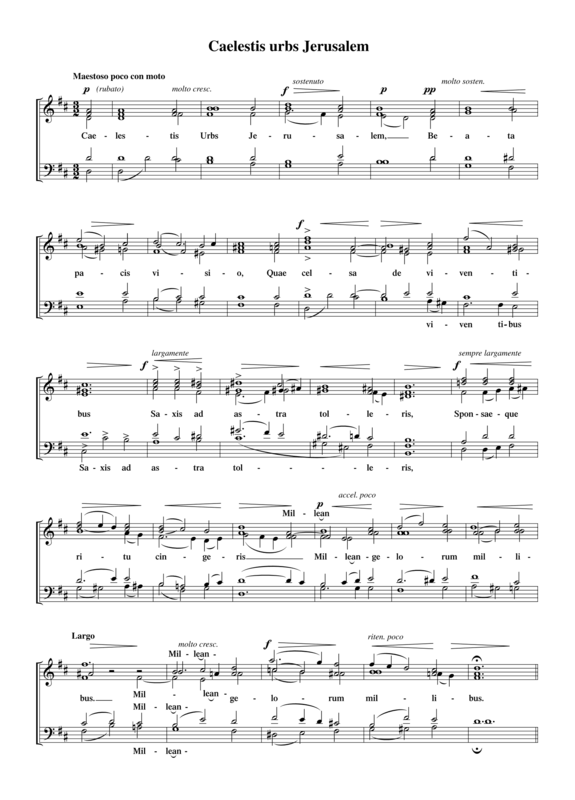 (BD IV:140) The composition on the text of a hymn intended for the inauguration of a church was performed by the renowned Klein-Koor A Cappella, conducted by Anton Averkamp, on 16 May 1897. The celebrations took place in the main hall of the Rijksmuseum in Amsterdam, one of Cuypers’ most famous creations. The text comprises five strophes of six octosyllabic lines. Diepenbrock based the first and last strophe on the same melodic and harmonic material, some of which is also used in the other strophes. Characteristic of this homophonic composition are its harmonic changes: in the first sixteen measures there is a modulation from D major to F-sharp major (m. 8), a third relationship (m. 12-13) and a modulation to B major. Later in the piece there are several chord progressions that are derived from the traditional modes.